Newfoundland and Labrador is still aiming to have the lowest poverty rate in the country by 2014, although a Liberal critic is having trouble believing the target can be met. 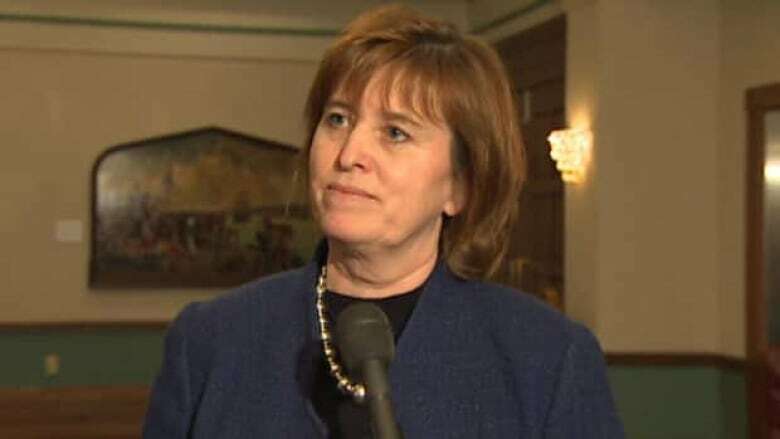 Joan Shea, the minister responsible for the government's poverty reduction strategy, says the key goals of a 10-year program adopted are being met. "We have been able to move from the province with the highest rate of poverty in Canada to the province with the third-lowest rate of poverty," Shea — formerly known as Joan Burke — told the house Thursday. "That is progress, and we will continue on that path." But Liberal critic Andrew Parsons, who raised the issue in the legislature, has doubts about the government's performance and expectations. Parsons noted that when the first progress report on poverty reduction was filed in 2009, the government committed to file the next in 2011. "The second report is now one year late," Parsons said. "You said this week that poverty reduction was a priority of this government in 2003; how could you miss the very first deadline set on progress reporting?" Shea told the legislature that the government is spending about $150 million on poverty reduction programs, and that the government is committed to ensuring that opportunities from natural resources and developments are shared widely. "We have people who are in positions in this province, Mr. Speaker, who are far more vulnerable than others," Shea said. Parsons was skeptical about the government's record. "We currently have the highest food bank usage, the third highest rate of childhood poverty and the second lowest income per capita in the country," Parsons told the house. We're facing a deficit of possibly half a billion dollars and are looking at taking on the biggest debt in our history. So I ask the minister, you have one year, how do you plan to get us there?" Newfoundland and Labrador's use of food banks, though, has been reported to be in decline, although some food banks have reported increases. Shea says she expects to release an updated poverty reduction action plan very soon. The 2009 report found that poverty rates in the province had almost fallen in half over a six-year period that ended the year before.